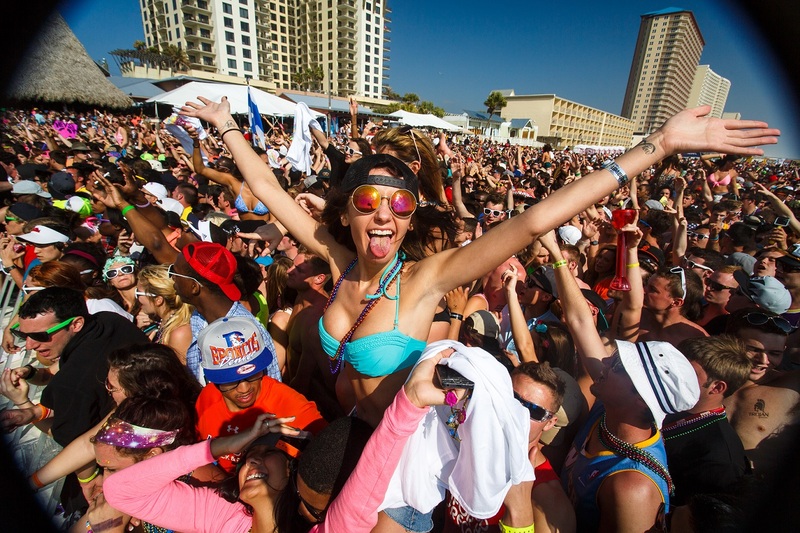 Panama City Beach, FL continues to be labelled as the #1 Spring Break destination among college students. Panama City Beach, Florida has been voted as the number one Spring Break destination by college students. A recent study, conducted by Collegiate Marketing Group – which manages top Spring Break destination site pcbeachspringbreak.com – polled 5,000 students asking where they plan on heading for Spring Break in March, 2015. Students were asked to compare six popular Spring Break hot spots, including Daytona Beach, FL, South Padre Island, TX, Myrtle Beach, SC, South Beach Miami, FL, Panama City Beach, FL, and Cancun, Mexico (the only non U.S. based destination). Panama City Beach was voted number one by an overwhelming 87 percent of students polled. People come to Panama City Beach not just for the amazing beaches and comfortable sub-tropical weather, but for the affordable hotel rates (still relatively cheaper than most other hot spot destinations), and great beach dining experiences. Students looking to party the night away are treated to Panama City Beach’s elite night life experience, including some of the biggest and best clubs in the U.S. hosting some of the country’s biggest and most talked about events each year. “It’s no secret that this place is a paradise for the college crowd,” said Giardina. For more information about Spring Break in Panama City Beach, including all the up-to-date information on the best places to stay, eat and have fun, visit www.pcbeachspringbreak.com. Highly regarded as “the best beach this side of paradise”, Panama City Beach offers 27 miles of sugar white sandy beaches, emerald green waters along the shoreline, and boasts an average of 320 days of beautiful sunshine per year. The weather is sub-tropical, with a year-round temperature averaging 74 degrees, what many would consider perfect weather for relaxing and definitely a key reason why Panama City Beach travel is so popular.